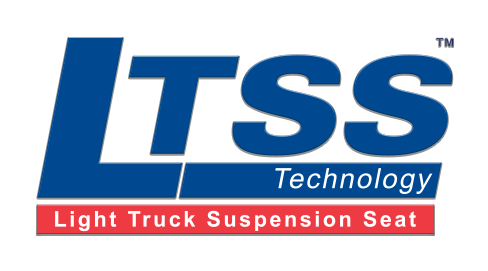 The LTSS fits into Isuzu N-series, GMC/Chevy W-series, Hino 195, and Fuso Canter trucks, many of which historically could not accomodate a traditional suspension seat. The LTSS fits where other suspensions seats won't. 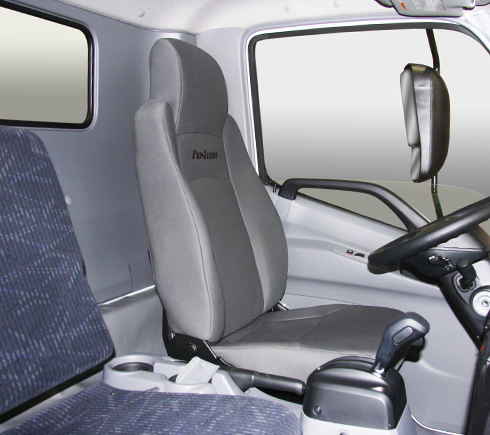 The LTSS (Light Truck Suspension Seat) system has been proven to reduce vibration to improve ride performance.The innovative vertical suspension mechanism located behind the backrest is adjustable to the weight of the driver. The patented LTSS design helps prevent back injuries caused from harmful vibration, resulting in a safer and smoother ride. Our new seat upper is ergonomically desinged to improve comfort and is available with an optional hand-pump lumbar support and optoinal right-hand armrest. 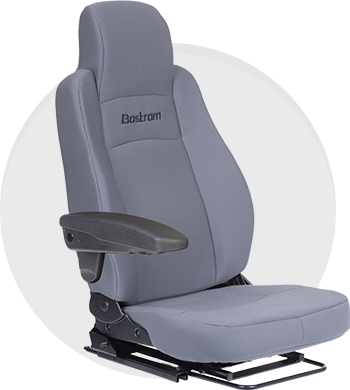 The ergonomic and supportive seat upper reduces vibration and increases user comfort. 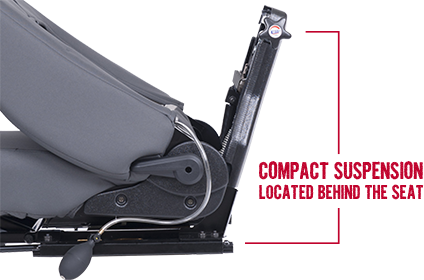 With the air lumbar feature of the LTSS, every seat is adjustable to your needs. 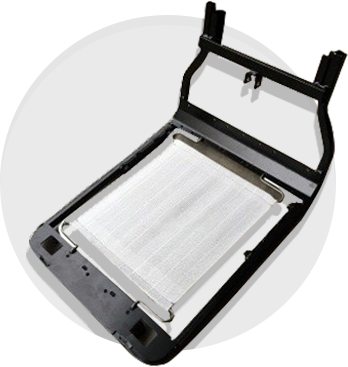 Durable cover materials are easy to keep clean and designed to last in tough environments. A sturdy tabular frame design and durable stain and water resistant fabrics will help you maintain a seat for many years to come. An innovative energy absorbing mesh placed below the seat cushion works in harmony with the seat cushion and suspension springs to reduce potentially harmful vibration. 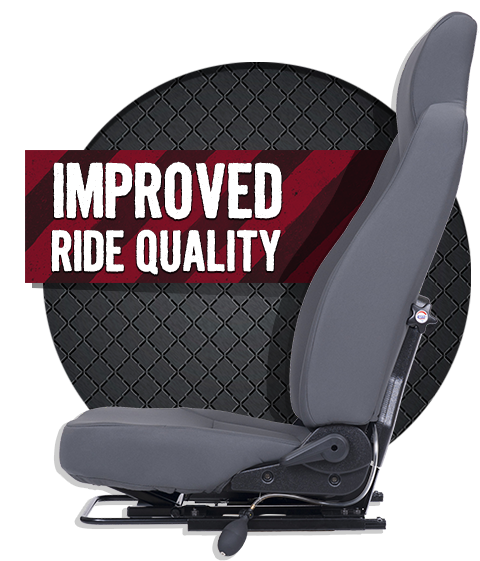 The ergonomic design of the seat backrest, cushion, and suspension work together to minimize driver's stress and fatigue. Now available with an optional adjustable, fold-away inboard armrest. There's never been a better time to upgrade your ride.